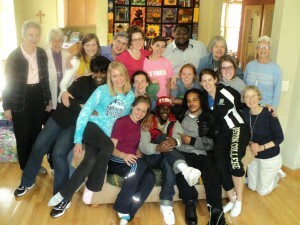 Bridging Communities: Vis Seniors, Sisters, our VIP with some of our northside friends from “Emerge” and “From Death to Life”. North Minneapolis is a culturally diverse and spiritually rich part of the metro area; it is home to the second Visitation Monastery in Minnesota founded in 1989. The Salesian heritage of inclusivity and diversity which four Sisters brought here 25 years ago complements and affirms what is already present. Perhaps that is why we were so warmly welcomed when we came to make this neighborhood our home. Over the years, Mendota Visitation students and their families, faculty and staff, have made a bridge to our monastery, building relationships and performing various outreach services with our neighbors. Not only do they bring hope to our families, especially at holiday times; they bring themselves and are eager to enter into relationship with our neighbors. They help make our spirituality thrive here, carrying Salesian values of gentleness, nonviolence, community and presence. In turn, our neighbors share inclusivity and diversity with them. The highlight of this bridging happens in the spring each year when eight Visitation Seniors come to live here for two weeks of immersion and service. Every agency where they serve wants them back the next year! St. Francis de Sales often used images from creation to illustrate the concepts he was emphasizing. When we left our home monasteries in Mendota Heights and St. Louis to begin a new Visitation in north Minneapolis, we did not leave those who have for those who have not, but rather to build a Bridge between people who may not otherwise meet. The results have been astounding! We have all discovered that we have more in common than we have differences. 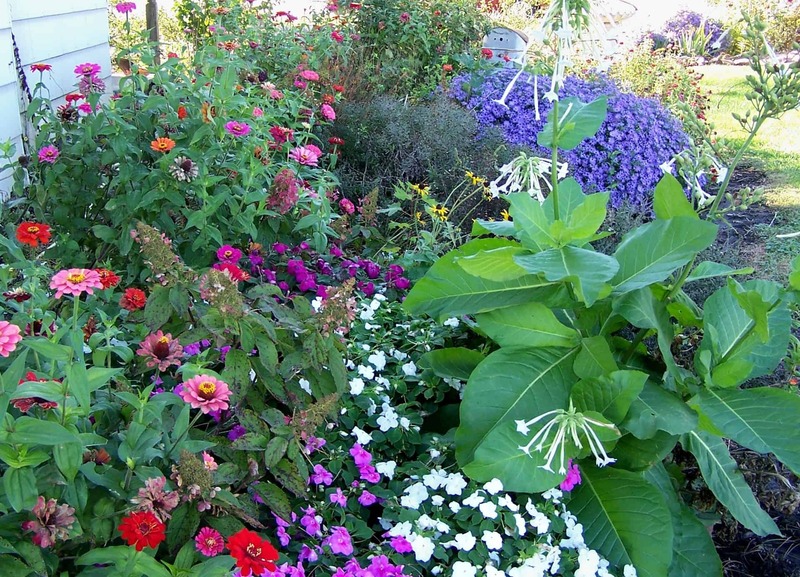 Together we form a beautiful garden enhanced by its diversity and inclusivity! Surely that is the Spirit of the Visitation! *Sister Mary Frances Reis is a founding member of the Visitation Monastery of Minneapolis.